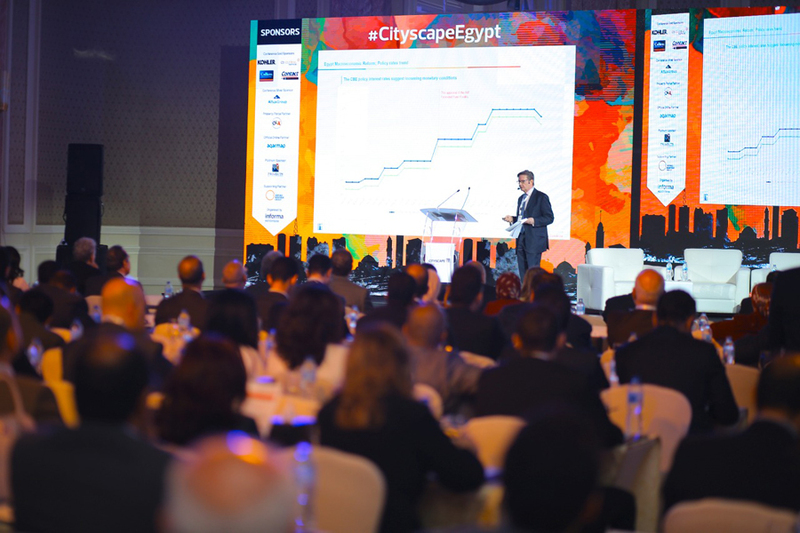 12 March, 2018, Cairo, Egypt: The Cityscape Egypt Conference got off to a positive start today as experts and government authorities offered updates on major government projects, revealed ongoing progress in the real estate sector, and highlighted opportunities and challenges in the industry. The Conference, which is currently taking place at the Four Seasons Nile Plaza, is a prelude to the exhibition and calls attention to Egypt’s ongoing efforts to realise its goals and address the sector’s most pressing needs. Khaled Abbas, Assistant Minister of Housing for Technical Affairs, highlighted in his keynote speech that development is no longer limited to Greater Cairo, but instead it has moved to the governorates of Al-Alamain Al-Jadida, Al-Mansoura Al-Jadida, West Qena and West Assiut. Development outside Cairo is a major tenet of the government’s Urban Development Plan 2052, which looks to increase the area from 7 to 12%. “To achieve this ambitious development plan, there needs to be partnerships with the private sector so we can achieve the development rates, which were successfully carried out by the government in the first phase of the partnership projects, and which were developed into MOUs. We are currently, evaluating the second phase of financial PPP offers and the third phase of the partnership projects will be decided by the end of this month or at the beginning of next month,” he said. He pointed out that as the real estate sector is a main driver of the economy, the Ministry is currently working on auctioning land for investment, which will enable developers to choose from an array of opportunities. 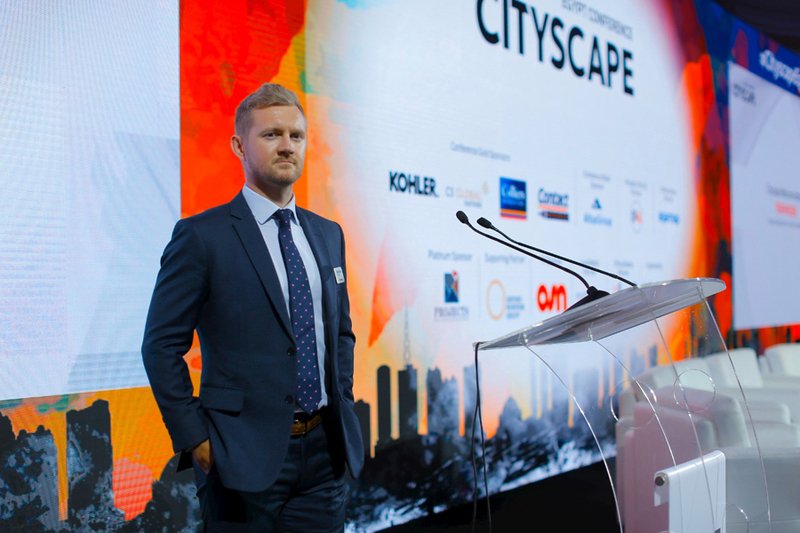 Under the theme: Re-inventing a real estate destination; strategy, valuation and branding, this year’s two-day Conference – which concludes tomorrow – kicked off by reviewing its performance over the last year. 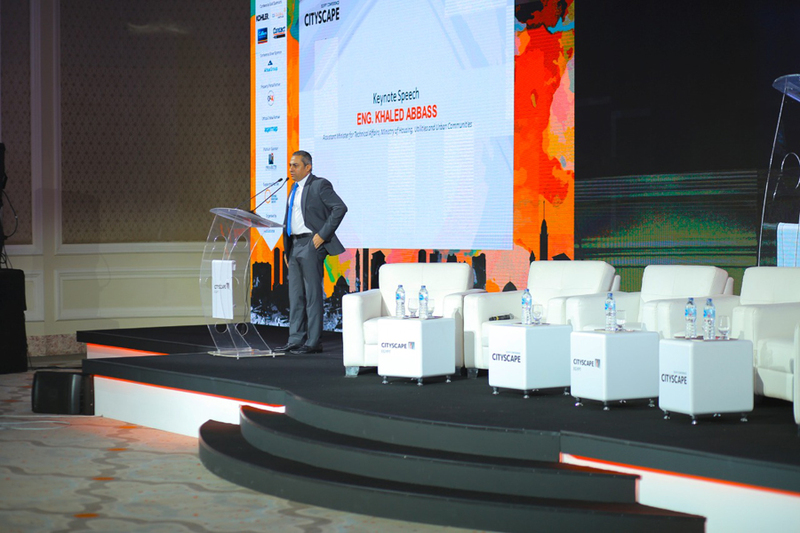 Fathallah Fawzy, Co-Founder, MENA Group, and Chairman at this year’s Conference maintains that despite the challenges in the market last year, there was still a demand for real estate. “The stability in the market and the effects of the economic decisions over the last year will result in an increase in the volume of real estate investment, new projects, demand from consumers, and expected price increases in 2018,” he explained. Ian Albert, Regional Director at real estate consultancy, Colliers, analysed the sector over the past year and provided an overview to a packed conference room. For Albert, population growth and increased investment in infrastructure, and investments to hedge against inflation and currency devaluation are boosting property investment in Greater Cairo’s real estate market. “By end of 2018, the residential market is expected to be undersupplied by 320,000 units, this gap is expected to increase to 580,000 units by 2022. Translating into required units of approximately 52,000 per annum, while supply is expected to grow by 20,000 units per annum,” he said. A bright star in Egypt’s real estate sector is the office segment. According to Albert over the past five years, 90th Street in New Cairo has been rapidly establishing itself as a major commercial hub or strip in the city. “New Cairo has become the focal point for various office developments and business parks. The office market in Greater Cairo has been undersupplied over the past decade. While there was a market gap of 3 million sqm NLA in 2017, this gap is expected to exceed 4 million NLA sqm by 2022,” he said. Speaking about buyer profiles and current trends amongst consumers in the market, Amad Al Msoadi, CEO of Aqarmap.com revealed how location, unit sizes, and prices, are still primary drivers for homeowners and investors. One of the most anticipated panels: Vision 2030: Taking on the challenges and achieving the vision saw Tamer Waguih, Assistant Head of Central Unit, Ministry of Finance; Ahmed Al Mufti, General Manager, Commercial Affairs, East Port Said Development Company; Amgad Hassanein, COO, Cairo Capital Group; and Dr. Assem El Gazzar, Chairman, General Organisation for Physical Planning, discuss and debate how to achieve the country’s goals and how to find solutions to ongoing hurdles. The Conference also included breakout roundtable discussions on mortgage finance, and industrial development. Tomorrow’s Conference will tackle hospitality in a session titled: The role of international hospitality brands in creating a destination, and includes a session on Foreign investment sentiment: Measuring trends of foreign investment in Egyptian property by Dina Gobran, General Manager, OLX Egypt and Khaled Shahin, Regional Director of Revenues. Tomorrow’s final panel discussion takes on: The importance of regulating real estate valuation activity to attract international investors, looking at understanding the role of real estate valuation in the national economy and methodology of supervising real estate appraisal activities. This year’s Conference was sponsored by Colliers, Kohler, CS Global, Contact Mortgage Finance, Altus Group, and property portal sponsor OLX. The highly-anticipated Cityscape Egypt exhibition then takes place on the 28th – 31st March at its new venue, the Egypt International Exhibition Centre (EIEC) in in Mehwar Almosheer Tantawy in New Cairo. The show, sponsored by PROJECTS, kicks off with over 70 exhibitors from Egypt who will showcase projects from across the real estate spectrum, both from Egypt and around the world.